Part of our Equation classroom table range, this pack of 2 rectangular tables are ideal for use in schools, pre-schools and nurseries. Choose from 2 sizes - 1100mm x 550mm and 1200mm x 600mm - and 6 heights, making these classroom table suitable for different age groups. The table top is 25mm thick and available in 11 laminate colours. It features a textured spray PU edge which is hard wearing and comes in 3 colours - light grey, blue or charcoal. Each table has a stylish, 32mm round steel frame with a durable speckled light grey paint finish. The feet are height adjustable to ensure the tables do not wobble. 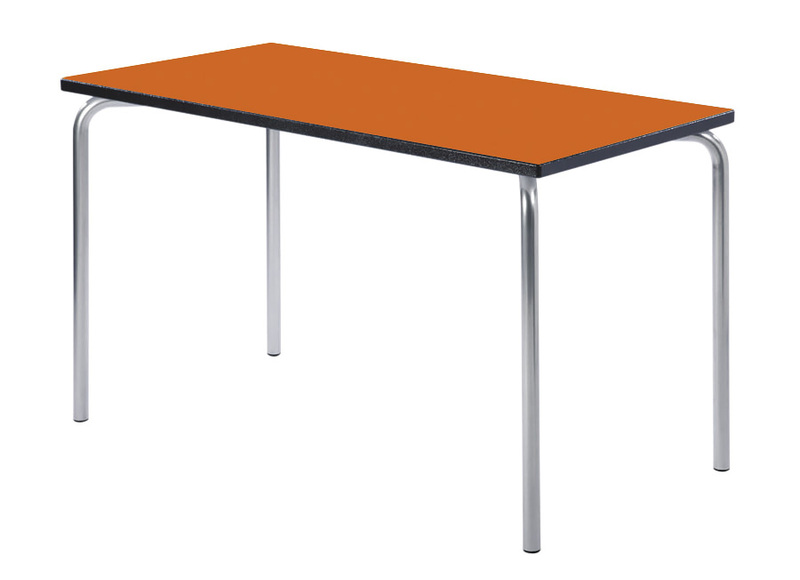 The tables come in a pack of two and all tables in the Equation range have a 10 year manufacturer's guarantee. 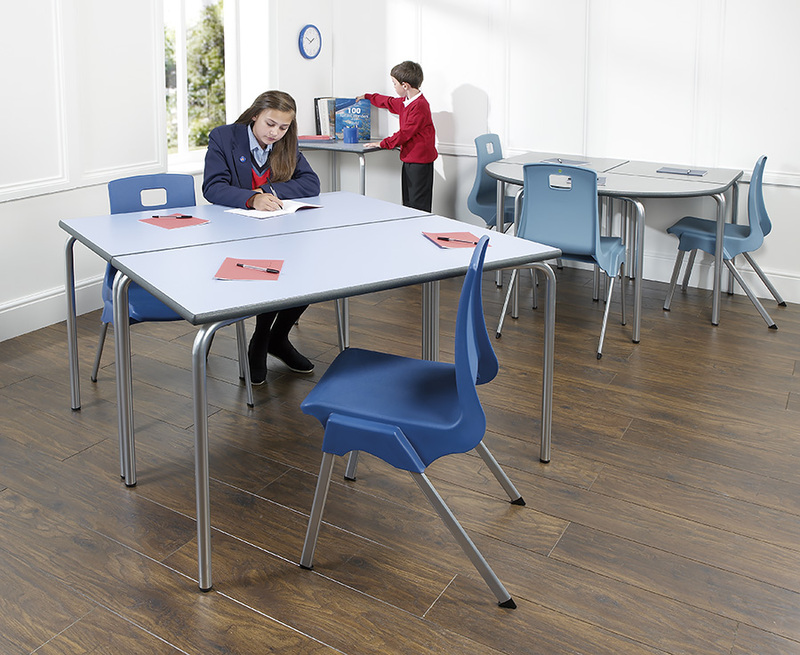 These tables are compatible with others in our Equation range so you can create different sizes and shapes of table groups to suit any classroom. Other Equation classroom tables include Square, Trapezoidal, Circular, Semi-Circular and Arc tables. PLEASE NOTE: These classroom tables are sold in sets of 2 only. Therefore, adding a quantity of 1 into your basket will order a pack of 2 tables, quantity of 2 is 4 tables etc. For more information please Contact Us or call us on 01733 511121.